Cloud storage is a critical component of cloud computing, as it holds the information used by applications which is primary to its functioning. Big data analytics, data warehouses, Internet of Things, databases, and backup and archive applications all rely on some or the other form of data storage architecture. 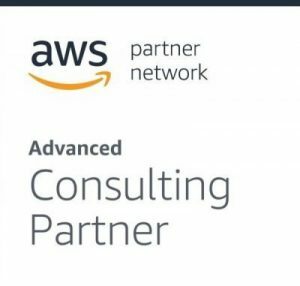 We in partnership with AWS offer a complete range of cloud storage services to support application, storage and archival compliance requirements. Move data from legacy storage solutions to new, AWS storage-based targets including Amazon S3 or Amazon EBS, and accelerate your existing connection to AWS resources. Provide cost-efficient storage resources to your Amazon EC2 based storage targets, such as Amazon EBS and Amazon S3, while maintaining existing legacy Network Attached Storage (NAS) connections. Transform traditional backup and recovery operations away from traditional tape or disk targets to use AWS based storage resources as a fast, cost-conscious method of data protection. Use AWS storage such as Amazon S3 or Amazon Glacier as the target for backups to provide high durability for AWS workloads. We use the AWS Storage Gateway and AWS Snow ball services to migrate the data from On-prem storage to AWS Cloud storage. Our team works very closely with the AWS Solution Architects to define the solutions and migration support. In our effort to beat the curve, we have invested heavily in Engineering and have rolled out offerings that include Cloud Storage as one of the primary solution component; delivering great value to our customers. For a leading Semiconductor company we have archived upward of 50TB of data and stored it on Amazon Glacier. We successfully migrated their business critical data from on-prem using S3 Lifecycle Policy and Snowball data transport solution. This helped them move away from legacy hardware storage tapes, saving them almost 55% on storage operation costs.